As a maker, I think it’s essential to have tools that feel good in every way; good materials, nice to handle, easy to use and travel with. 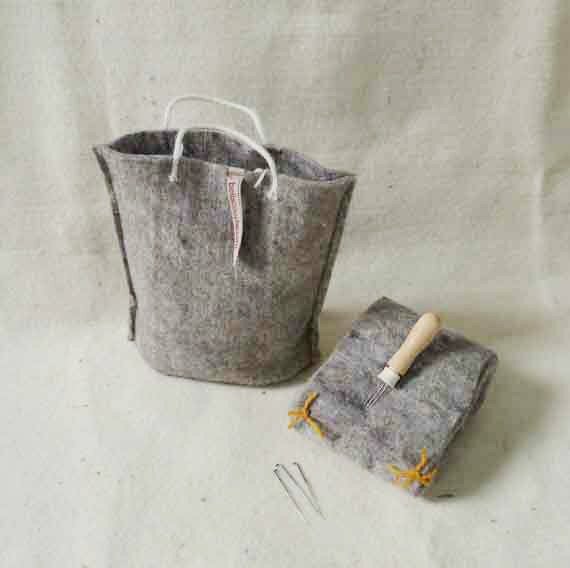 This is my new needle felting tool kit in a handy and beautiful felt bag. 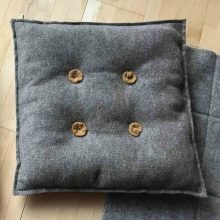 No instructions, just an adorable felty needling pad that will be a joy to use and lasts many times longer than manmade alternatives, AND it can be used as a cushion when it’s come to the end of it’s use. 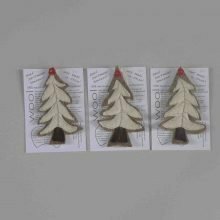 The tool is beautifully turned wood, a wonderful design, and you can invert the 3 needles to insert into the handles so you can travel with it. You get 3 spare needles too. 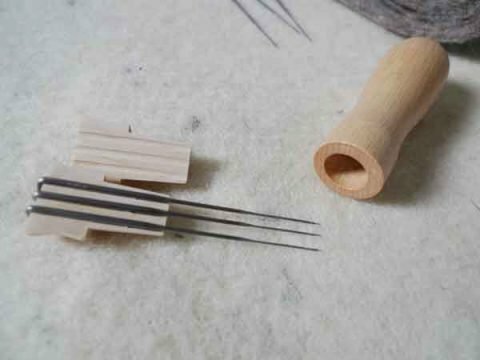 Turned wood 3-needle holder tool. 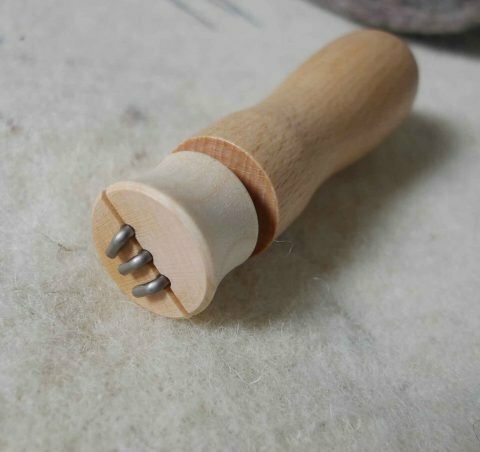 Reverse them to store inside the tool. It’s neat! 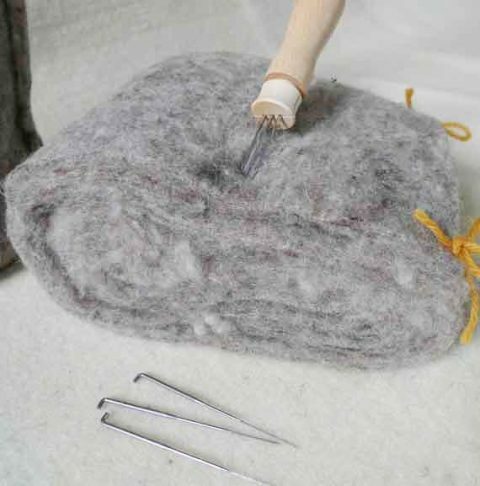 Organic felt needling pad. If you keep the layers separated it will survive heavy use. 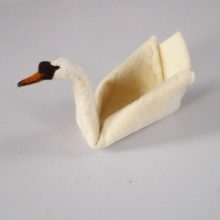 Otherwise, turn it into a kneeling pad!